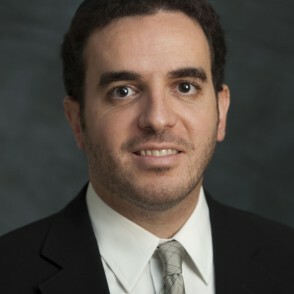 Rabbi Dr. Richard Hidary is an assistant professor of Judaic studies at Yeshiva University, Stern College for Women where he teaches courses in Bible, Second Temple Jewish history, Dead Sea Scrolls, Talmud, Midrash, and Jewish ethics. He received his PhD from NYU where he was awarded a McCracken Fellowship and was also a graduate fellow in Jewish Law and Interdisciplinary Studies at Cardozo Law School. His forthcoming book, Dispute for the Sake of Heaven: Legal Pluralism in the Talmud, has been published in the Brown Judaic Studies series. He has articles appearing in AJS Review and Dine Israel and he has written entries for Encyclopedia Judaica and Encyclopedia of the Bible and Its Reception. He is also a rabbinics reviewer for The Lost Bible Project: The Library of Israel in Late Antiquity to be published by JPS and a contributor to the forthcoming New Oxford Annotated Translation of the Mishnah. Rabbi Hidary is developing a teachers guides for teaching Tanakh in Yeshiva High Schools. He is also an assistant rabbi at Sephardic Synagogue in Brooklyn and director of Merkaz Moreshet Yisrael.